What's so super about the Omega Speedmaster 42mm 'Ultraman' watch? We did ask you to be quick, didn’t we? Alas, the online-exclusive, limited-edition Omega Speedmaster 42mm ‘Ultraman’ model is no longer available. The lucky 2,012 who were fast enough to click that “Reserve” button is set to collect their Japanese superhero-inspired timepiece as early as mid-August 2018. #FirstWord: @Omega's 2018 #SpeedyTuesday just hit the stands. Make your #reservations for the OMEGA Speedmaster Limited Edition 42 mm "Ultraman" before they run out! So, what’s so super about this retrofitted Omega watch anyway? 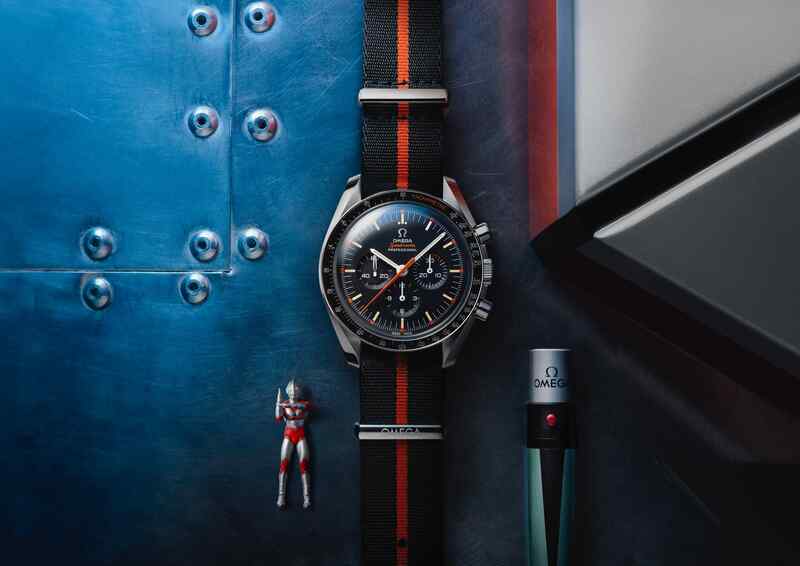 The new model is a clear ode to the rare orange handed Omega ‘Ultraman’ Speedmasters made in 1967, which got its nickname for appearing in the Ultraman series: The Return of Ultraman (1971). The distinctive bright-hued seconds hand matched the orange jumpsuits of the series’ Monster Attack Team and therefore, the 1967 chronograph became part of the team’s beast-battling ensemble. The new “#SpeedyTuesday” Speedmaster — a second edition in what’s become an annual online-exclusive series of Insta-worthy versions of the iconic Omega Speedmaster — pays further tribute to Ultraman with more details decked out in orange, including the first three minutes of the minute subdial. This is because the masked character’s ability to fight in super-sized, superhero-mode only lasts for three minutes before his energy depletes. Orange is also found on the black anodised aluminium bezel, the word ‘Tachymètre’ highlighted, and so is the “Speedmaster” script under a vintage Omega logo on the dark dial. There’s also a hidden silhouette of Ultraman’s profile on the dial, only revealed via a UV lamp provided with the watch. Two straps — the NATO strap and a leather strap — come in black with orange accents to complete the look. The Omega Speedmaster 42mm ‘Ultraman’ watch is powered by the Omega Calibre 1861, a legendary movement with true space credentials. The caseback features an engraving of “#SpeedyTuesday”, its limited edition number, plus the same words found on a standard Speedmaster, often called the Moonwatch as well, for being the first watch worn on the Moon.